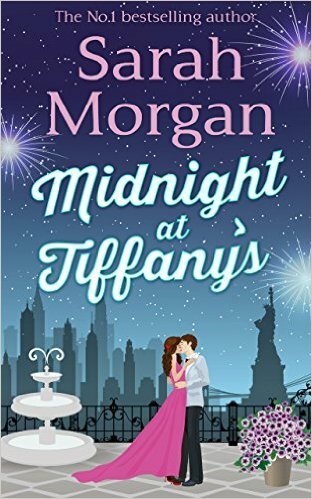 I am currently reading Midnight at Tiffany's by Sarah Morgan. Matilda circulated carefully among the glamorous crowd, trying to keep her eyes off the glittering view of the Manhattan skyline and concentrate on keeping the tray steady. The last thing she needed was another catastrophic spill. She'd already had one warning from her boss and even though, technically, her last disaster hasn't been her fault she knew another accident would get her fired. Her brief was to be invisible, and she considered herself perfectly qualified for the job. I love Sarah Morgan's writing, and this little novella came out today. Of course I had it pre-ordered before even a synopsis was up, it dropped on to my Kindle at midnight, and I'm just about to start. Yay! I always have high expectations when I pick up anything by this author, and I've never been disappointed so far. Just from this first paragraph, I feel that I'm going to enjoy this a lot. I love Sarah Morgan and I missed this novella. I'm about 2 books behind but I'm really looking forward to getting caught up. Thanks for reminding me how much I enjoy her books! Check out my Friday 56 (With Book Beginnings), Music Monday, and TTT.